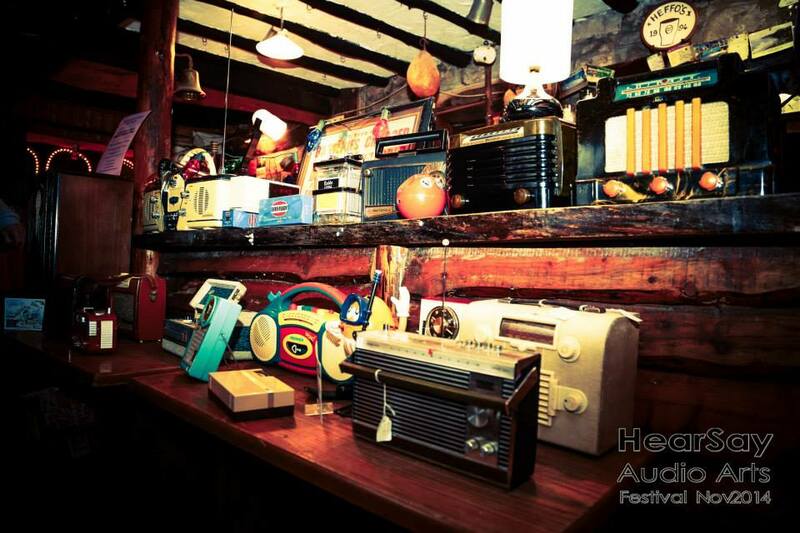 The inaugural Hearsay International Audio Arts Festival took place in Kilfinane, Co. Limerick over three days from 21-23 November. Sound Artists, Composers, Sound Designers, Radio Producers, Field Recordists and a host of audio enthusiasts and practitioners from across the globe took over this village in the Ballyhoura Mountains for three days of performance, discussion, storytelling, listening and more. The festival utilised an eclectic mix of venues including the local, school, church, library and even the parish priests' sitting room (where the host treated his guests to heart warming hot whiskeys)! Mike Glennon spoke to some of the composers present for CMC and in the below interviews we hear from field recordist, sound artist and soundscape composer Susanna Caprara, aka La Cosa Preziosa about her practice and inspirations. Rachel Ní Chuinn tells us about her compositional practice and radio work and the lack of barriers between each while Robin Parmar discusses the importance of place and its reconstruction in his electroacoustic compositions and improvisations. Many thanks to each artist for their time and to Hearsay for the images used here. Susanna Caprara is a sound artist and field recordist originally from the south of Italy and based in Dublin, Ireland. The pseudonym La Cosa Preziosa (‘the precious thing’) refers to the beauty and fragility of the natural sounds that regularly feature in her soundscapes. These have been performed both nationally and internationally, in solo and group shows. Primarily interested in exploring the narrative potential of concrete sounds through the composition of creative soundscapes, utilising exclusively her own field recorded material. Robin Parmar is an intermedia artist whose practice incorporates electroacoustic composition, sound installation, radiophonics, experimental writing, photography, and film. His compositions have appeared on several international labels. Gruenrekorder has recently published the album "...between...", a collaboration with David Colohan that creates imaginary landscapes from location recordings and traditional instruments. Rachel Ní Chuinn is an artist who works with sound, text and electronics to explore ideas of touch and movement. Her musical compositions have been performed by members of the Crash Ensemble, The Quiet Music Ensemble, This Is How We Fly and the Dublin Laptop Orchestra. She has also presented visual and performance works in Ireland and Canada. She is co-director, composer and performer with the Dublin Laptop Orchestra and an active member of several music collectives. She has worked on numerous radio art projects with CKUT in Montreal and currently hosts Cluastuiscint a weekly music show on Raidió na Life. Her radio series Aerthonnta aired on Raidió na Life in April 2013 and her feature documentary The Shape of Sounds to Come gets its first broadcast on RTÉ lyric fm in November 2014.